Three London clubs are reportedly interested in the services of Ivory Coast star Nicolas Pepe who plays for Lille in French Ligue one. Arsenal have been terminal admirers of the £45m-rated winger who has bagged 12 goals already this season. A contribution of no small measure following the current second position Lille occupy behind PSG in the French league. Reports in France have amplified Arsenal’s interest which has been reinvented by Daily Star. Although it seems other suitors have joined the fray for the African. Tottenham and Chelsea who are also looking to bolster their squad for the second half of the season have also indicated interest in the player. The former had a no summer transfer while the latter couldn’t bring in desired reinforcement due to the circumstances surrounding their managers late arrival. So the winter transfer window is the appropriate time to remedy the situation for both clubs if they want to mount a title challenge. 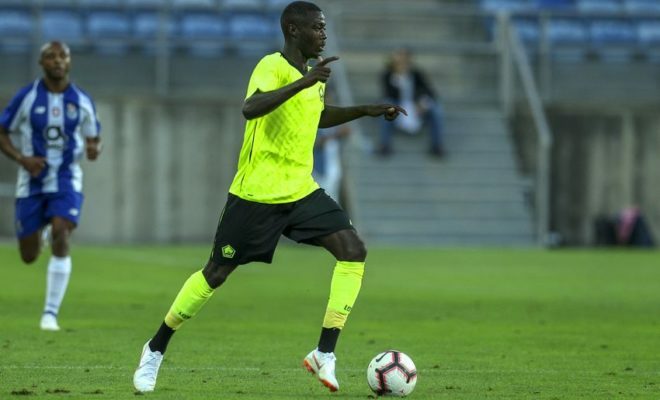 Hitherto, Lille weren’t willing to do business in the winter with any club for the player: “What if Barcelona gives me €100million to buy Pepe? He will not leave this winter. I want him to continue here, we want him to stay, he wants to stay.” Says Lille owner Gerard Lopez. However, a French newspaper has reported that Lille’s position on the player has suddenly softened for whatever reason that was not mentioned. Raul Sanllehi, Arsenal head of football had previously made it unequivocal that he dislikes winter transfers. However with injuries to Danny Welbeck and a host of other players, the club night have a change of heart and utilize the January window.